Way back in June we reviewed Vern Poythress’ book Inerrancy and Worldview. At the time I appreciated what a focused apologetic tool the book turned out to be. 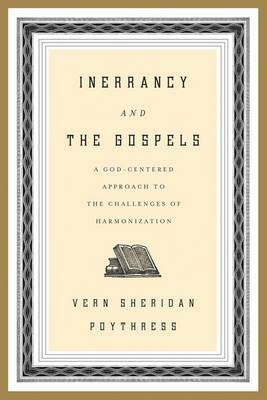 Poythress’ newest book, Inerrancy and the Gospels is meant to offer, as the subtitle of the book suggests, “A God-Centered Approach to the Challenges of Harmonization.” From the beginning you know that Poythress is not interested in arguing for an inerrant Gospel harmonization by beginning with the unbeliever’s worldview. When the book begins, Poythress spends a chapter basically laying his cards on the proverbial table. He believes in the inspiration and authority of the Bible. He believes it is possible to answer Bible difficulties (and they do, of course, exist). He recognizes, from the beginning, that the biggest challenge in answering Bible difficulties is not the Scriptures themselves, but the answerer himself. “My primary challenge in accomplishing this task is myself. I am a finite, fallible human being. I am also affected by remaining sin. And sin affects biblical interpretation…So you must understand that this book represents part of a path toward a future fullness of knowledge…” (15). Poythress does not intend to undertake the project of harmonization as a disinterested, neutral, or impartial witness. Early in the book, Poythress spends a chapter discussing the differences between Matthew’s (8:5-13) and Luke’s (7:1-10) account of the Centurion’s Servant as a way of highlighting the reality of challenges to harmonization. He then surveys the various solutions to the “problem” which have been presented, reminding the reader that it is only necessary, when answering skeptics, to present a possible, logically non-contradictory solution, not necessarily the definitive solution to each harmonization challenge. Poythress does not only approach harmonization differences defensively. He points out the positive reasons for non-contradictory differences between the Gospel accounts. 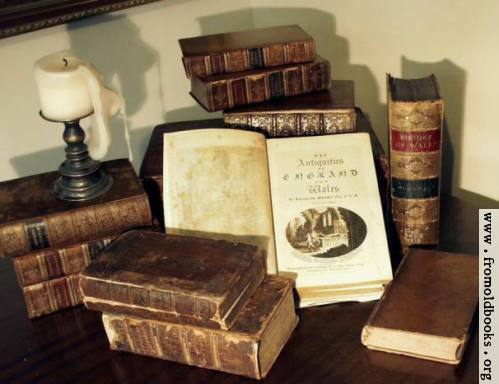 The differences between the Gospels are an integral and significant part of the Gospels. The differences are there for a purpose: they help us. All the Gospels are talking about events that actually happened; they are not “making it up.” But they are telling about the events in ways that help us to grasp their significance and their theological implications. We do not need to feel as if we have to “roll back” the significance and the implications in order to get to “bare” events (32). We were never meant to read the Gospels in a theologically stripped down sort of a way that allows us to inject our own theological (or bare historical) interpretation into the events. Poythress is reminding us that there is theological significance in each of the distinct accounts of the life of Christ, and each individual Gospel reflects that reality—hence the differences in the accounts. Each of the Gospel writers has their own purpose and goals in writing, and those variations which exist among them can be accounted for in terms of those purposes. He demonstrates quite helpfully that differences or “compression” of the genealogies in the beginning of the Gospels do, in fact, reflect each author’s own theological goals in their writing (Ch. 10). The middle portion of the book (Ch. 10-15) is especially concerned to discuss the spiritual issues (pride, autonomy, etc.) related to harmonization. I couldn’t shake the thought that these chapters might have fit in better in Inerrancy and Worldview. It was a surprising section in the book, and while it is not what I expected, I could understand that its omission would have left the book spiritually lopsided, giving credence to the illusion that spiritual matters are irrelevant to this discussion. Poythress does eventually get into the material which I thought would compose most of the book when I first started reading Inerrancy and the Gospels— namely discussion of the practical ins and outs of harmonization. Poythress argues that the writers of Scripture do not use a “Mental picture” method of writing such as we normally use or expect in our own reading. This affects several areas where interpreters normally see problems. As an example, Poythress argues that it is not necessary to see Christ as cleansing the temple twice, simply because John includes the cleansing at the beginning (2:13-22) of his book and the synoptics include it at the end (Matt. 21:12-17; Mark 11:15-19; Luke 19:45-46). It is certainly a possible solution, and Poythress doesn’t see that solution as problematic (136). However, when one remembers that John is not recording events using the modern “mental picture” method of recording history, it might just as well be that John includes his recounting of the temple at the beginning for theologically significant reasons, and vice versa for the synoptics. Poythress argues that “we do not know for sure whether there was only one cleansing of the temple or two” (137). He does say, however, that we know everything that the Gospel writers wanted their readers to know: there was a temple cleansing, Jesus had a special zeal for God’s house, and Matthew and Mark were especially concerned to highlight the misuse of the temple that had taken place. In the end, the temple cleansing is simply a test case for Poythress in highlighting the fact that Gospel harmonization may include an understanding that the authors utilize “chronological flexibility” according to their motives, methods, and message. He makes similar points in discussing the rejection of Jesus at Nazareth, the cursing of the fig tree, and the commissioning of the twelve. He then turns his attention, finally, to what (especially early in my life when apologetics was a big emphasis for me) was my biggest sticking point in appreciating inerrancy as much as I could: variance in speech between the Gospel accounts. Poythress begins his test case by looking at the words of Christ following the stilling of the storm, comparing Matt. 8:26, Mark 4:40, and Luke 8:25. In his examination of these passage, he notes there is some variance. One possibility of harmonization is to conclude that there were three different stillings of the storm, which Poythress does not give much credence to. Another possibility, which Poythress considers is that Christ actually said all three things which are in each Gospel successively and each Gospel writer only included a portion of what Jesus said. This may seem like an unusual possibility, but Poythress makes the case that this is not as weird as you might initially think (159). Poythress also suggests another possibility. Jesus is God. So Jesus’ speeches are divine speech. The four Gospel writers are human beings, but they were inspired by the Holy Spirit so that what they wrote is also divine speech. Whenever the Gospel writers report things from Jesus’ speeches, we are seeing God’s report of what God himself said (163). Poythress carefully argues that “God is free to use wording that brings out implications of his earlier words” (173). He uses a similar principle to understand New Testament authors’ free use of quoting Old Testament passages. Poythress points out that when modern preachers express the meaning of a passage by combining or rewording passages, nobody accuses them of misusing the Bible. This is because of two factors “(1) the modern use does not claim to be an exact, verbatim quote, and (2) it derives meaning from the original rather than distorting the original meaning into something else” (174). These principles can equally be applied to the NT authors, as well. Overall, I should have known not to come into Inerrancy and the Gospels expecting a handbook of bible difficulties. Wrong expectations tend to be my undoing, and I seem to always have them whenever I read Poythress’ works. I personally would have preferred a truncation of the first half of the book and an expansion of the second half. That being said, this is just a preference. All in all, this is a very important book, and one which all students of the New Testament should read. I really wish I had read this book when I was a new Christian, because many years of struggle over the text against apologetic doubts would have been quelled by having a healthier understanding of what inerrancy does and does not mean for the text. I hope many Christians will avail themselves of Poythress’ book. It is my favorite so far in his “Inerrancy” series, and I look forward to more forthcoming additions to the series. You can find the book in print by visiting Westminster books. You can also find a free PDF of the book by visiting Poythress and Frame's web page.